Another seven days have passed, which means that it is time, once again, to look at some of the bizarre stories that occurred over the last week. If you want to read up on the important stuff, click here. Otherwise, read on for some of the weird, wild stuff. This week, we have quite a few freaky felonies worth mentioning. There are farting criminals, killer monkeys, thieving lookalikes, colon snatchers, and, the most heinous crime of all, an unpaid permit. There are also a few rather interesting sightings and discoveries. A rare species has been filmed for the first time swimming in the deep waters of the Southern Ocean. The bizarre-looking creature has been described as a “headless chicken monster,” and this is only the second time it has been spotted. Despite its colorful moniker, the “monster” is just a sea cucumber called Enypniastes eximia. The creature is bright purple, about the size of a basketball, and has wings. But it is special, even among sea cucumbers. For starters, it is exceedingly rare—prior to this sighting, it had only been observed once in 2017 in the Gulf of Mexico. Furthermore, unlike most cucumbers, the “monster” can actually swim and prefers to travel through the depths before settling on the ocean floor to feed on plankton. The discovery was made by the Australian Antarctic Division (AAD) roughly 3 kilometers (1.8 mi) below sea level off Heard Island. Research scientist Dirk Welsford and his colleagues were stumped when they first laid eyes on the organism. They googled it to try to determine what it was exactly. The AAD team came up with the “headless chicken monster” moniker as a laugh because it kind of looked like a chicken, and it’s a cool name. 9 Why Steal A Giant Colon? 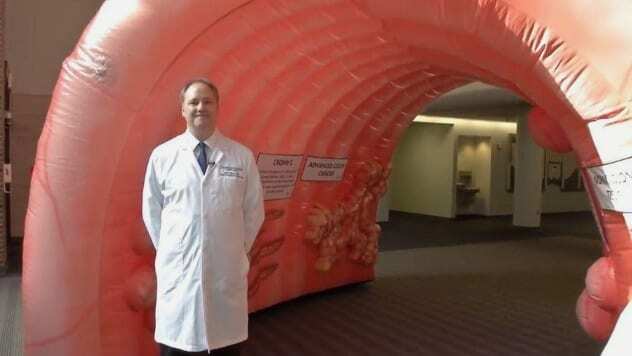 A huge, 3-meter-long (10 ft) inflatable colon was stolen from the University of Kansas Cancer Center. The colon weighed 68 kilograms (150 lb) and was valued at $4,000. It belonged to the Cancer Coalition, who loaned it out for various events around the country. It would be set up like a tunnel, and people could pass through it and learn about the dangers of colon cancer and, hopefully, schedule a screening. According to John Ashcraft, surgical oncologist at the University of Kansas Cancer Center, screening is “the most powerful weapon we have against colorectal cancer,” and the giant colon made for a “great conversation starter” on a sensitive subject. It is unclear at the moment who would want to steal an inflatable colon or what they could possibly do with it. The object was sitting in the bed of a parked pickup truck, so perhaps the thief saw their chance to pilfer something without realizing what they were actually taking. We don’t know if there is such a thing as a good way to go, but there are numerous bizarre ways to go. In this case, a septuagenarian Indian man was stoned to death by monkeys. While police are treating it as an accident, his family insists there was foul play involved. On October 17, 72-year-old Dharampal Singh went out to collect dry wood in the village of Baghpat in Uttar Pradesh. A group of monkeys started throwing bricks at him, hitting him multiple times in the head, legs, and chest. Singh was taken to the hospital, where he succumbed to his injuries. 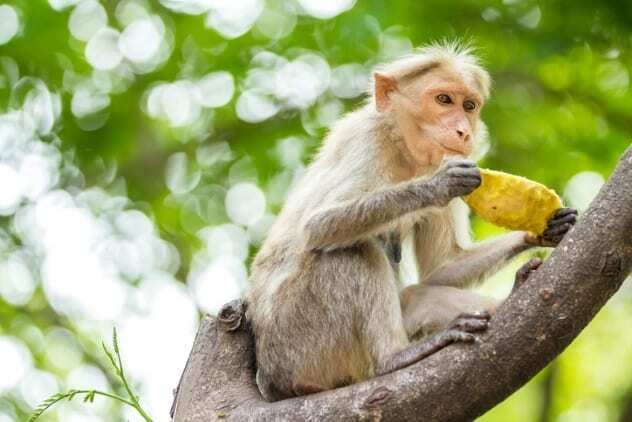 The victim’s brother, Krishnapal Singh, has requested law enforcement to open a First Information Report (FIR) against the rogue monkeys, thus charging them with a cognizable offense. So far, local police have refused, claiming that it is not a “logical demand” and that it would turn them into a “laughingstock.” Undeterred, Singh’s family has appealed to a higher authority. 7 What Are Americans Afraid Of? Chapman University in California published its yearly survey where it lists the top fears of Americans. A random sample of 1,190 adults from all over the United States were interviewed back in June and asked to state their level of fear on 94 different topics. This year, the biggest fear of Americans involved the corruption of government officials. 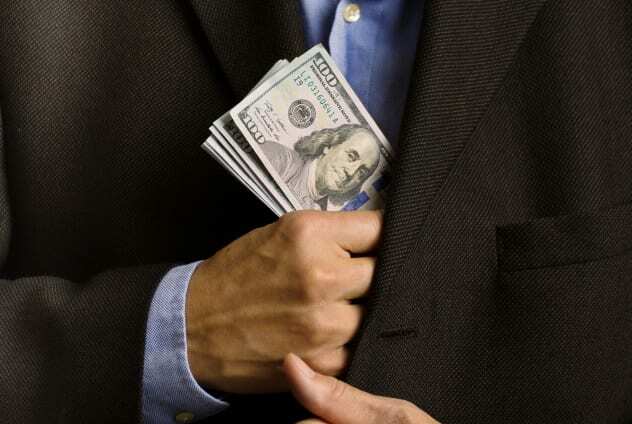 Almost 74 percent of people said they were either afraid or very afraid of government corruption. This is the fourth year in a row that this fear topped the list. In 2018, environmental concerns also seem to be at the forefront, as places two and three were occupied by fear of pollution of oceans, rivers, and lakes and fear of pollution of drinking water. The top five are rounded out by fear of not having enough money for the future and fear of loved ones becoming seriously ill.
Common phobias didn’t rate as high as one might expect. Acrophobia, the fear of heights, comes in at number 41, with 33.6 percent. Fear of sharks is ten spots below with 29.2 percent. As for the weirder categories, 8.4 percent of Americans are afraid of zombies. This is slightly more than ghosts but less than half compared to demons. NASA recently shared on its Twitter page a photo which has left many people confused. It is an iceberg which appears to have a perfect rectangular shape and flat surface. The ice block was floating off the east coast of the Antarctic Peninsula, near an ice shelf called Larsen C. NASA imaged it as part of Operation IceBridge—a mission to survey all of the polar ice on the planet. Afterward, they can create a 3-D map of the Arctic and Antarctic and make it easier to notice changes occurring over time. NASA ice scientist Kelly Brunt admitted that the iceberg looked a “bit unusual.” After all, you rarely see 90-degree angles and straight edges in nature. We expect icebergs to be giant, chaotic slabs of ice. But you can rest assured that this chunk of ice is perfectly natural and wasn’t deliberately cut by humans (or aliens, for that matter). It is known as a tabular iceberg—a large slab of ice with almost vertical sides and a flat top that gets broken off an ice shelf. Based on its clean, sharp edges, this iceberg has calved very recently. Soon enough, the wind and the sea will begin eroding it, and it will lose its satisfying straight lines. 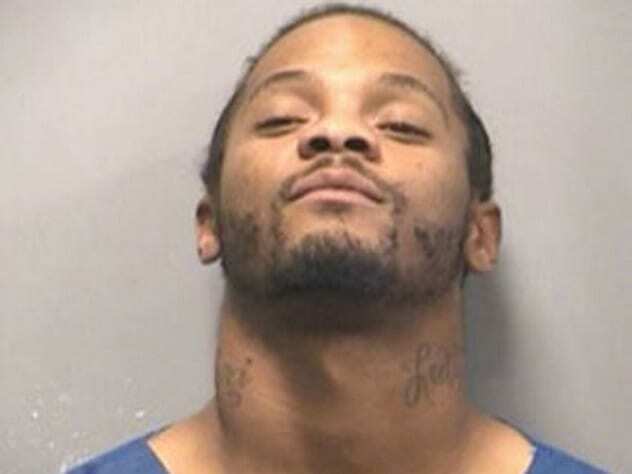 A man known as the “farting felon” pleaded guilty this week to multiple charges of gun and drug possession in Kansas City, Missouri. The bizarre event started in the fall of 2017 during a traffic stop where police searched a car and found drugs and firearms. Sean Sykes Jr. was in the passenger seat and denied knowing anything about either. According to the police report, during questioning, when a detective asked Sykes for his address, he “leaned to one side of his chair and released a loud fart before answering with the address.” He then continued to fart until the detective decided to end the interview. No charges were filed against Sykes at that time. Two months later, however, he was pulled over again, and police found marijuana, cocaine, and a stolen revolver on him. He had his arraignment this week, in which he pleaded guilty. It is still unclear if Sykes used his power of flatulence as some kind of defense mechanism or simply to show his contempt for the law. 4 Is David Schwimmer A Ruthless Criminal? Speaking of felonies, is it possible that David Schwimmer has fallen on hard times? Has the former Friends actor turned to crime despite starring in one of the most successful TV shows of all time? Well, no, but his doppelganger has. On Tuesday, police from Blackpool, Lancashire, England, released an image on social media of a man absconding with a case of beer and asked the public for help identifying the alleged thief. Pretty soon, people noticed that the suspect looked a lot like David Schwimmer. Soon enough, Blackpool Police’s Facebook page was inundated with thousands of quotes and references from Friends. People saw it as the perfect opportunity to reminisce over their favorite Ross Geller moments. Eventually, police confirmed that Schwimmer was in the United States at the time of the robbery. Schwimmer himself later made light of the situation. He presented his alibi, showing that he could not have stolen a case of beer in Blackpool by posting a video of himself stealing a case of beer in New York. Lancashire police subsequently revealed that they have identified the thief. Although it is almost 140 years old, the Sagrada Familia church in Barcelona is still under construction. When its main architect, Antoni Gaudi, died in 1926, it was only a quarter of the way finished. Since then, the church has endured an intermittent development process, and officials are hopeful it might finally be completed by 2026 to mark the centenary of Gaudi’s death. However, during all that time, construction on the Sagrada Familia has been illegal because the church never obtained the proper building permit. As it turns out, the costs can really add up when ignored for over a century. The church’s board of trustees recently reached an agreement with the city council to pay €36 million to get up-to-date with their permits. 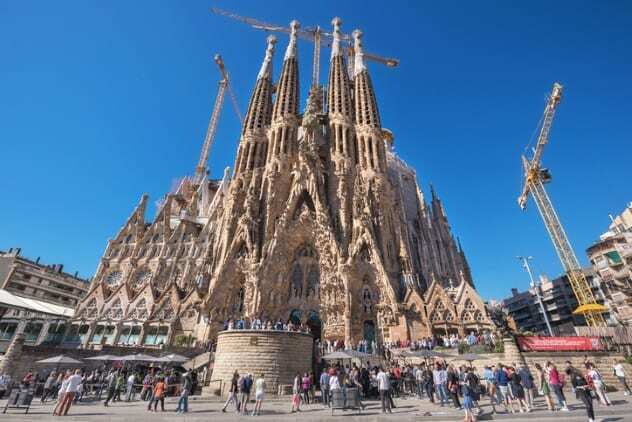 The sum will be remunerated over the next decade, and the money will go toward improving the neighborhood around the Sagrada Familia and mitigating the negative impact caused by the millions of people who visit the UNESCO Heritage Site every year. The bulk of the payment will be used to upgrade the transport infrastructure to the church. The rest of the money will help improve four major roads and keep the area safe and clean. 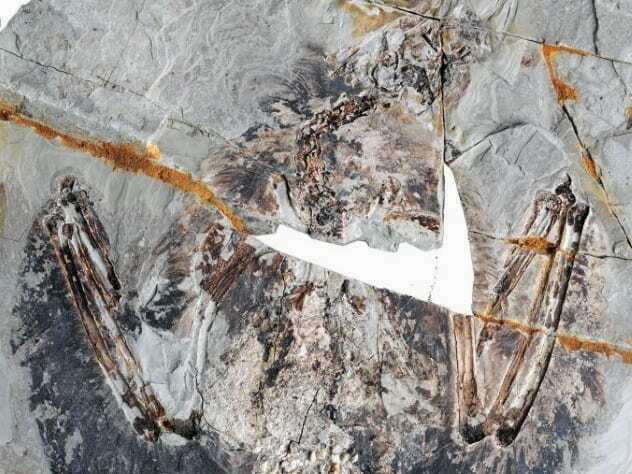 An international team of Chinese and American paleontologists has uncovered what is the first example of fossilized lungs belonging to a bird that lived alongside the dinosaurs. Archaeorhynchus spathula was around 120 million years ago during the Cretaceous period. One particular specimen met its demise in Northeastern China when a volcanic eruption buried it in ash. That was a bad day for the bird, but an exceptional one for modern scientists. The ashfall was so sudden that it fossilized the animal in perfect condition. Even now, millions of years later, there is still some soft tissue left in the form of lungs. Early birds are still a mystery to us, so any discovery that could provide us with new information regarding their evolution is priceless. Lungs are particularly noteworthy because they were an integral element of their adaptation for flight. Maritime scientists are hailing the discovery of the oldest intact shipwreck in the world, found at the bottom of the Black Sea off the coast of Bulgaria. 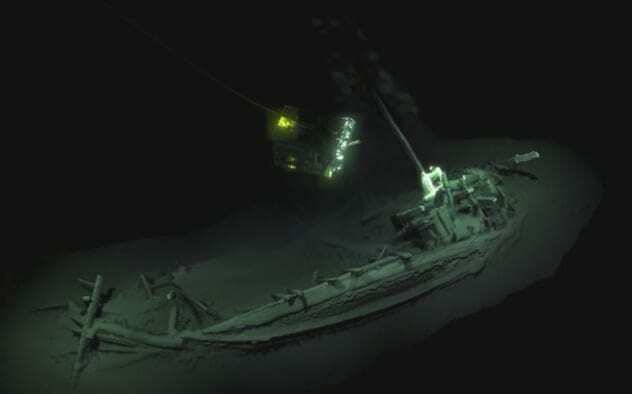 The find was made as part of the Black Sea Maritime Archaeological Project, a joint Anglo-Bulgarian effort to locate shipwrecks in the region. Radiocarbon dating suggests that the 23-meter-long (75 ft) vessel is 2,400 years old. It was, most likely, a Greek merchant ship that traveled between the Mediterranean and the Greek colonies off the Black Sea coast. The ship is said to resemble the vessel depicted on the Siren Vase, located in the British Museum. Dated to approximately 480 BC, that classic piece of pottery shows Odysseus passing the Sirens. The reason why the wreck has been preserved in such excellent condition is because it sits in anoxic, or oxygen-free, water. Located at over 2,000 meters (6,560 ft) below the surface, the ancient vessel is inaccessible to critters that normally like to munch on wood. It’s also out-of-reach for divers but not remote-controlled submersibles. Two robotic explorers took a 3-D image of the shipwreck and recovered a small sample for carbon dating. A new expedition is required in order to explore the contents of its cargo hold. Read more offbeat stories you might have missed from October 27, 2018, and October 13, 2018.